What’s the rush?, you say. We all know that it’s important to read a book before you see them movie. The movie bearing this title is being released on March 9, and that is coming soon! The movie trailer looks stunning, and I expect that this movie (unlike the previous movies of this title) will be a blockbuster. The cast alone will bring thousands to the theaters: Oprah Winfrey, Reese Witherspoon, and Mindy Kaling are the witches. Zach Galifianakis and Chris Pine also have lead roles. The visuals in this movie about other worlds and other dimensions look stunning, as well, and will have children and adults overwhelmed with wonder. I say all this because I really think the movie will be an exquisite event! But I believe the book is even more important, and potentially more beautiful, because it is created in the mind, thanks to the prophetical descriptions by Madeline L’Engle. In the 1950’s, she wrote about further dimensions, using scientific and descriptive language. She invented worlds that are unlike anything children have pictured before. And before they allow movie makers to create these worlds for them, I implore you to let your child’s imagination do the work. 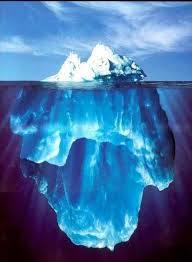 You have probably heard the analogy that when a book becomes a movie, you are only seeing the tip of the iceberg. Imagine everything that is under that waterline—that is what cannot be expressed in a 90 min movie. The hours your child spends reading A Wrinkle in Time will be spent in creation and imagination. They will form these new worlds and dimensions in their minds, and the movie will add to their already-created places, instead of the movie creating these places and having their brains extract that information when they read the book. Let the movie enhance the book rather than having the book add to the movie. A Wrinkle in Time is the beginning of science fiction for children. It is a must-read for all children, and now with the upcoming movie, it is even more important that they read or hear this book now! I would usually recommend this book for 11 and 12-yr-olds. If your children are younger, and you plan to see the movie, I would encourage you to read the book as a family. This will enable you to have fascinating family discussions after you see the movie, as there will certainly be additions and many subtractions in the story. Here is my promise to you: I have A Wrinkle in Time in stock now. I will not run out! I want everyone to read this book before they see the movie. 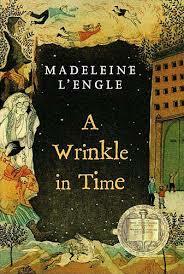 If you come in, and I am out of stock ofA Wrinkle in Time, I will give it to you for free. Once Upon a Storybook will be having a discussion night comparing the book and movie at the end of March (which will give everyone plenty of time to see it!). I can’t wait to hear the kids’ reactions! See you after the movies! *Free book offer applies until Monday, March 12, 2018.